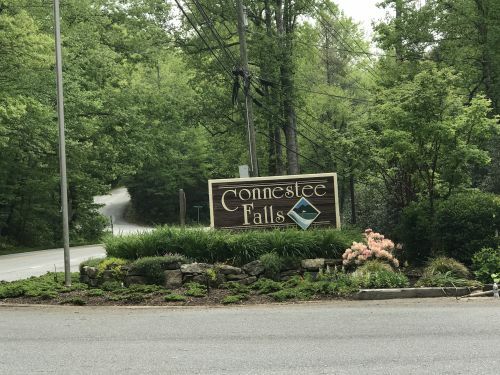 Connestee Falls is a master-planned gated community in western North Carolina in the town of Brevard. Located in the mountains, it features beautiful waterfalls, mountain lakes, a championship golf course, a clubhouse with dining, 13 miles of private hiking trails, a heated pool, tennis courts and more. The neighborhood is conveniently located near fantastic shopping, restaurants and banks, as well as a regional hospital, two colleges and the Brevard Music Center. It is approximately a 10-minute drive from Downtown Brevard, the local library, movie theater and supermarket. Connestee Falls is zoned for Brevard Elementary School, Brevard Middle School and Brevard High School. Data updated on April 20, 2019. Copyright 2019 Ocala Multiple Listing, Inc. All rights reserved. © 2017 Asheville Homes and Real Estate - RE/MAX Executive Asheville.